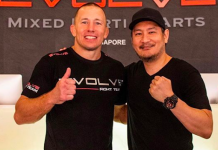 Later this year, at a to-be-determined date, UFC middleweight champion Michael Bisping will attempt to defend his title against the most unlikely of challengers – not Yoel Romero, not Robert Whittaker, not Ronaldo “Jacare” Souza, but former UFC welterweight champion Georges St-Pierre. 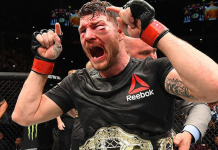 Though this fight is not yet scheduled – which is making Bisping increasingly ornery – the two fighters have not held back when it comes to trash talk. 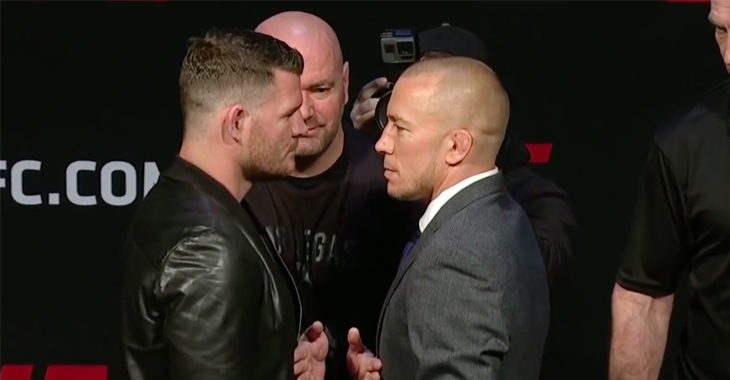 Even the typically reserved St-Pierre has hit Bisping with a few zingers. In a recent interview with RT Sport (via MMAFighting.com), the words continued, as St-Pierre discussed Bisping’s size advantage, saying it’ll only make hit the canvas harder. The bigger they are the harder they fall – that kind of thing. St-Pierre then commented on Bisping’s recent threats to give the next middleweight title shot back to Yoel Romero, should St-Pierre fail to agree to a summer fight. Unsurprisingly, the former welterweight believes the middleweight champ is bluffing. 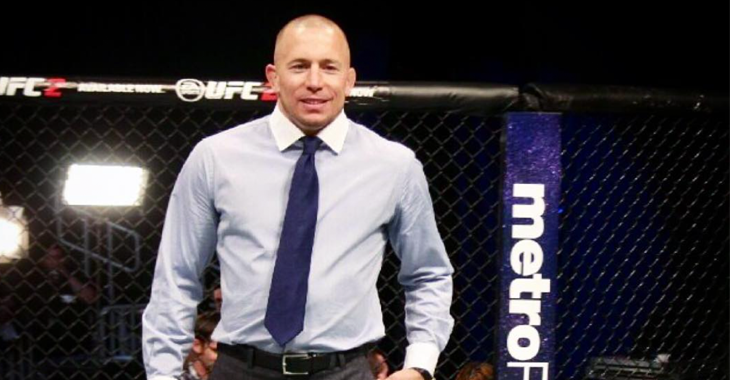 Do you think Georges St-Pierre can overcome Bisping’s size advantage and earn the knockout win? Sound off, PENN Nation!